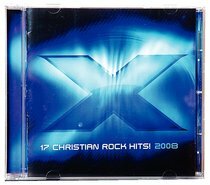 The X brand continues to be the quintessential release for the top Christian rock outfits today. X brand has featured top acts such as Kutless, tobyMac, Jeremy Camp, Third Day, Switchfoot, Relient K, Hawk Nelson, Thousand Foot Krutch and X 2008 is sure not to waver from this huge lineup. About "X 2008 (X Worship Series)"